Is it a Ferrari F12 GTO or the one-off Ferrari SP Arya? A series of Ferrari patent drawings have been sweeping the Internet. Initial reports suggested that they might depict a GTO version of Ferrari’s clinically insane F12. However, it appears that the images might actually show a one-off Ferrari called the SP Arya. The car can be identified as the 599-based Arya given its grille and the high waistline. From another angle, though, some of the lines, like the indented side scoops, suggest the F12. The one-off Ferrari Arya is named for the man who commissioned it: Cheerag Arya. The 32-year-old petrochemical tycoon is an avid Ferrari collector and already has an F40 and an Enzo. 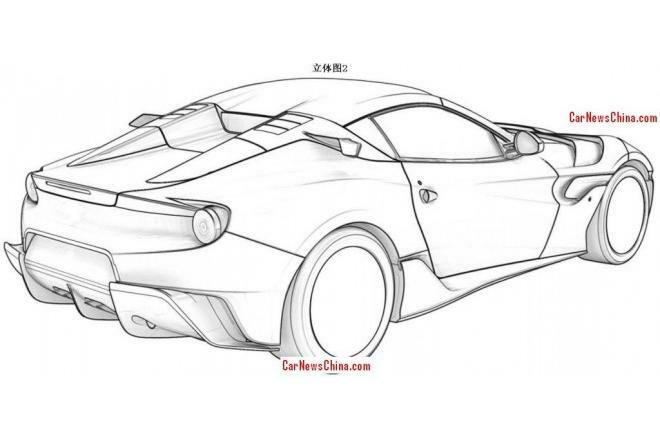 Regardless of which future Ferrari these images show, the renderings are likely legitimate, as the Chinese patent office is renowned for being leakier than a 20-year-old Yugo. Boom! Yugo slam! Still, people with eyesight might still be hoping these images are either fake or at least represent the reprehensible taste of one Ferrari collector. If Ferrari is the Mona Lisa of the car world, the one in these drawings is the elephant man. The front splitter and areo package are so misshapen I want to give this car some anti-inflammatory medication. Still though, Ferrari probably has some very sound reasons for this aesthetic catastrophe. No news suggests that Arya suffered a head injury during the design process, so we are going to have to assume that this car reflects his taste. If this is the Ferrari Arya, and Arya really does love these lines, I have a 1992 Acura Integra with a badly fitting body kit he might be interested in.